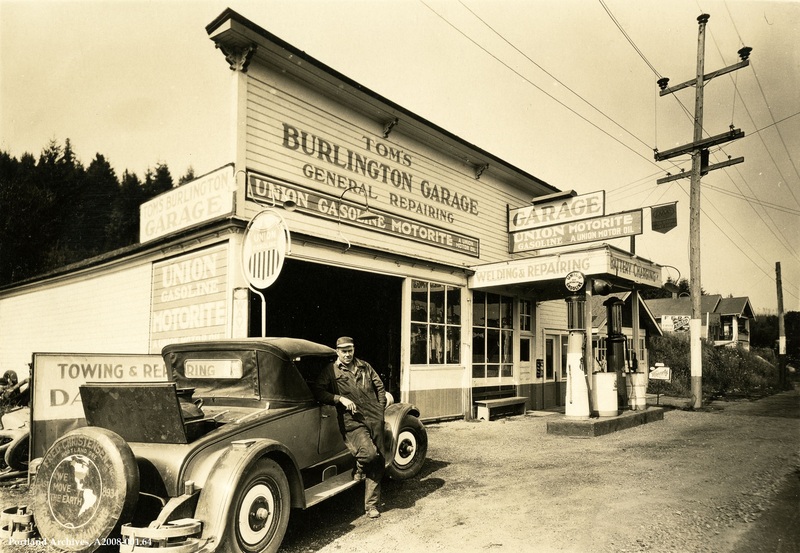 Tom’s Burlington Garage, located off of US Highway 30 in the Linnton area, circa 1931. 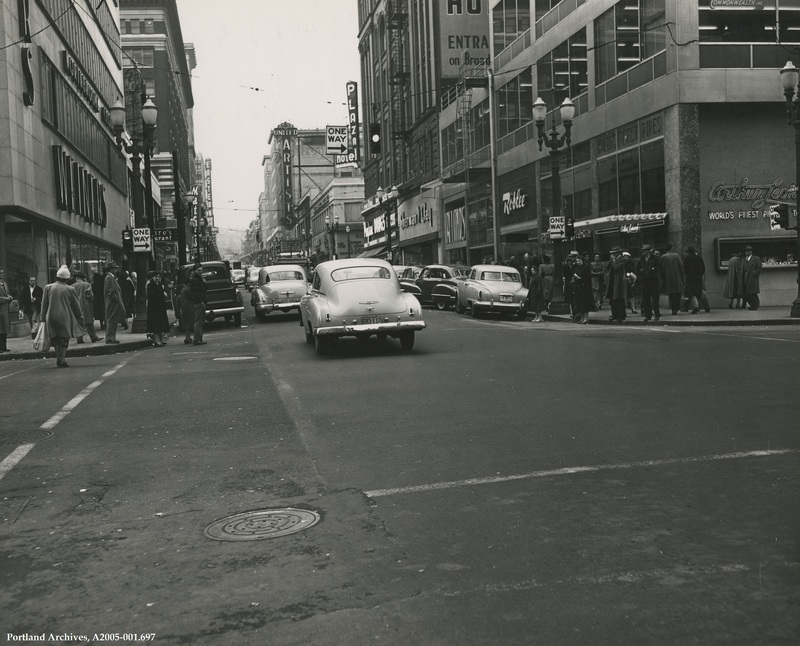 SW Washington Street looking west from SW 6th Avenue, circa 1951. This image shows the street after implementation of the “one way” grid. The Plaza Hotel, United Artists Theatre, Weiners, Sherman Clay, Payless Drugs, and Roblee are visible. If you don’t follow the Portland Archives & Records Center on Twitter (@PDXArchives), you may have missed the information about our Portland History Trivia Quiz. 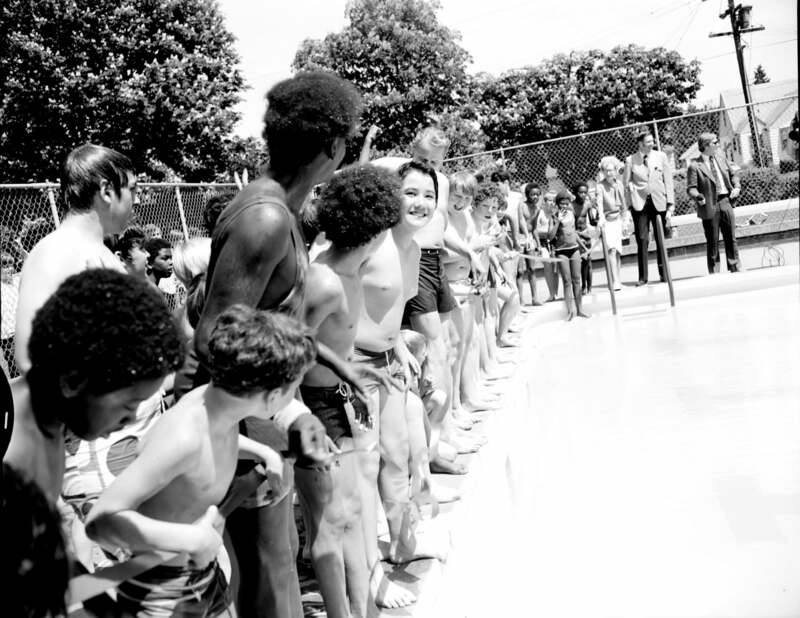 There’s still time to participate before our Archives Month celebratory quiz comes to an end! We invite you to test your knowledge against our Trivia Quiz before the end of the month. If you get all 9 answers correct, you will be entered into a drawing for one free scan from the City’s collection of photos. Good luck and happy archives month! 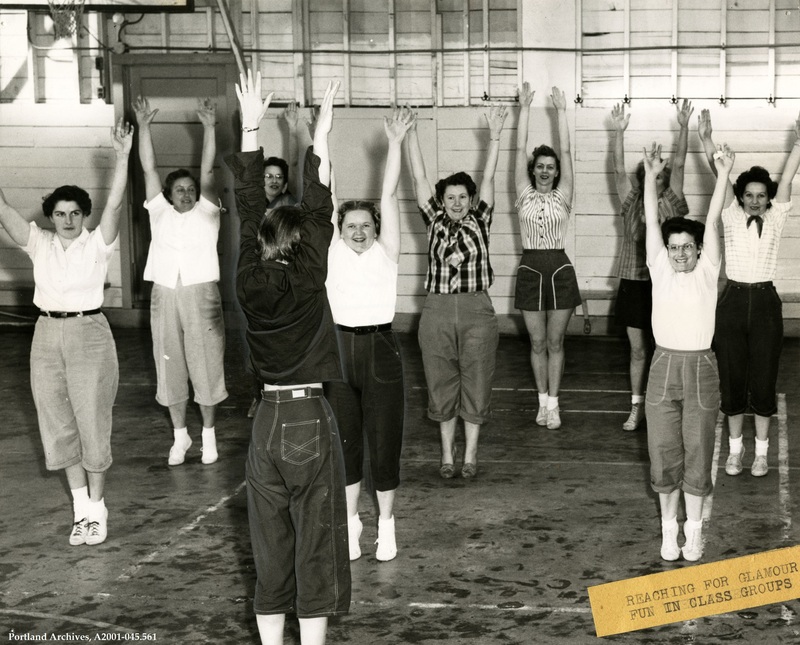 This image from the Parks and Recreation publicity files shows women in an exercising class, “reaching for glamour…,” March 23, 1956. 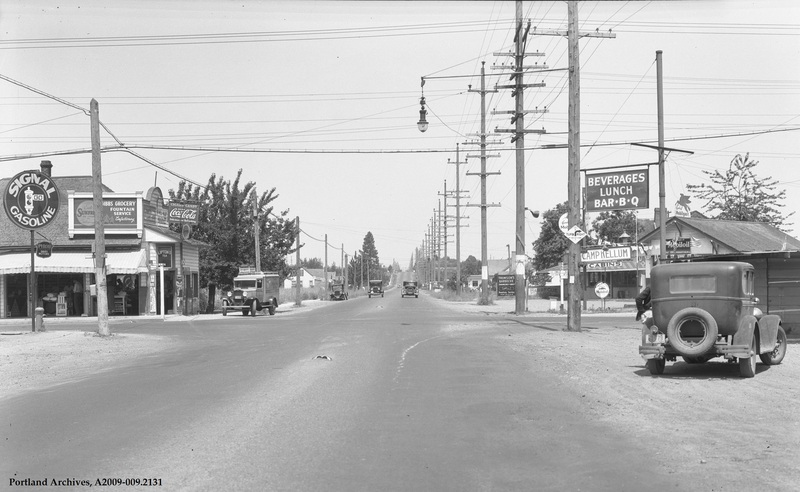 SE 82nd Avenue and SE Powell Boulevard, circa 1934. 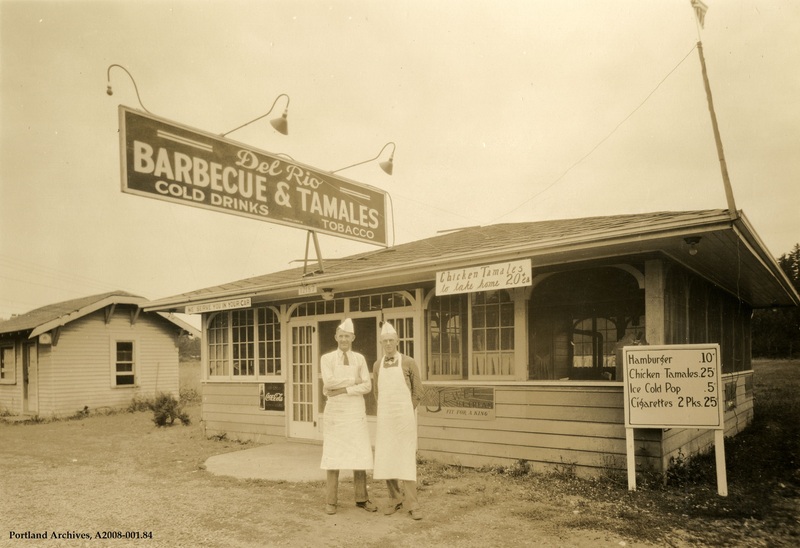 The exterior of Del Rio Barbecue and Tamales located at 12187 Powell Valley Road, circa 1933. Aerial view in the Lents Neighborhood looking north from Foster Road. To the left of the image is the old Lents School, located on the corner of SE 92nd Avenue and SE Harold Street. 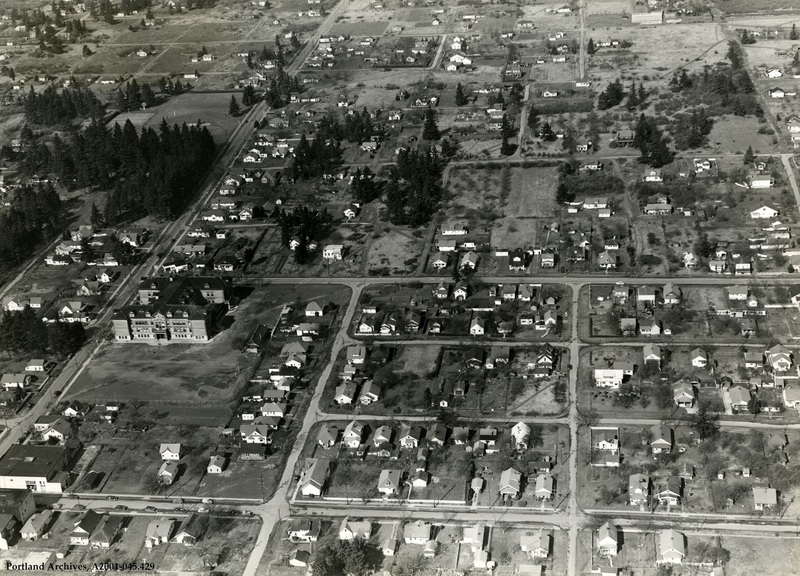 In the upper left is Lents Park, 1948.